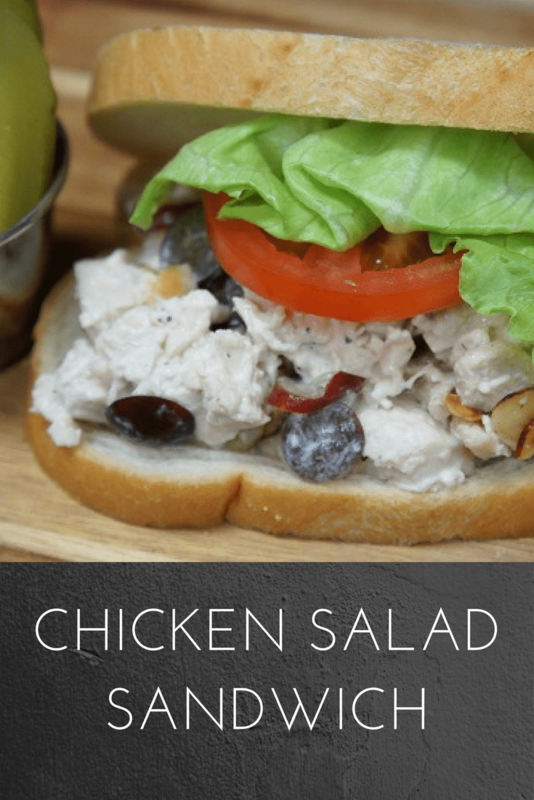 A light lunch is perfect on a hot day, and this chicken salad sandwich is just the thing. Poached chicken breast, toasted almonds and sliced grapes are combined with a slightly sweet dressing to create the perfect chicken salad. 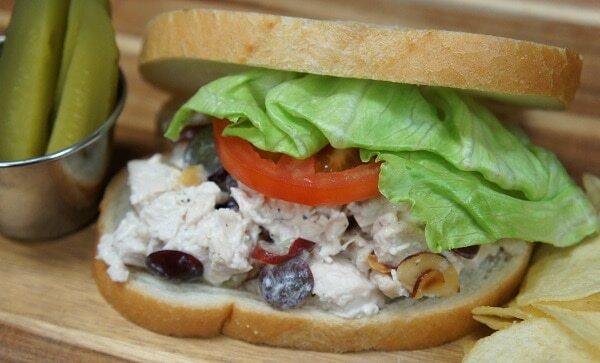 Serve the chicken salad on your favorite bread. Want to make it dinner? 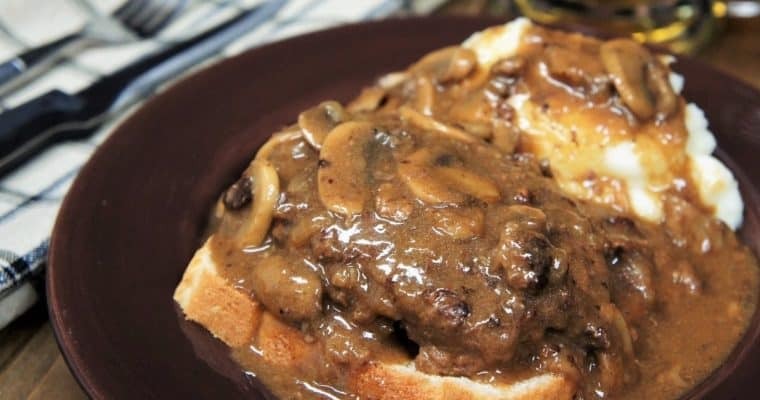 Serve it with a bowl of soup or, eliminate the bread altogether and add a heaping scoop on a bed of lettuce, either way it’s delicious. Enjoy! Place the chicken in a medium saucepan, large enough so that the chicken breast pieces fit side by side without overlapping. Cover the chicken with chicken broth; add a pinch of salt and the thyme. Start the chicken on high heat, bring to a boil. As soon as the liquid starts to boil, lower heat to medium-low and cover. Simmer gently for 20 minutes. Make sure the internal temperature of the thickest part of the chicken breast is at least 165°F. Remove the chicken breast from the poaching liquid and set aside to cool. When the chicken has cooled, cut it into thin slices. Place the almonds in a skillet over medium heat; cook them for 5-6 minutes until they turn a nice golden color. Shake the skillet often and keep an eye on the almonds they will go from a beautiful golden color to burnt in no time. As soon as they’re done, remove the skillet from the heat and set aside. Add the chicken, grapes, and toasted almonds to the mayonnaise dressing. Stir gently to combine and coat all of the ingredients with the dressing. Taste the chicken salad; add salt (if needed) and black pepper, to taste. Cover the chicken salad with plastic wrap and let it chill in the refrigerator before serving. 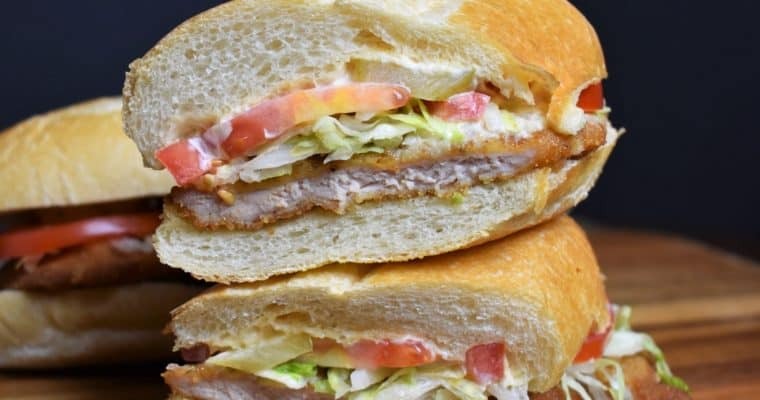 Then make your chicken salad sandwich and enjoy!